"You’re like a 40-year-old 12-year-old," Mickey (Gillian Jacobs) tells Gus (Paul Rust) in this full first trailer for the upcoming comedy created, written and executive produced by Judd Apatow, Rust and Lesley Arfin. It’s not the sort of seductive talk you’d expect between a show’s romantic leads, but that presumes this odd couple is living a traditionally romantic life. 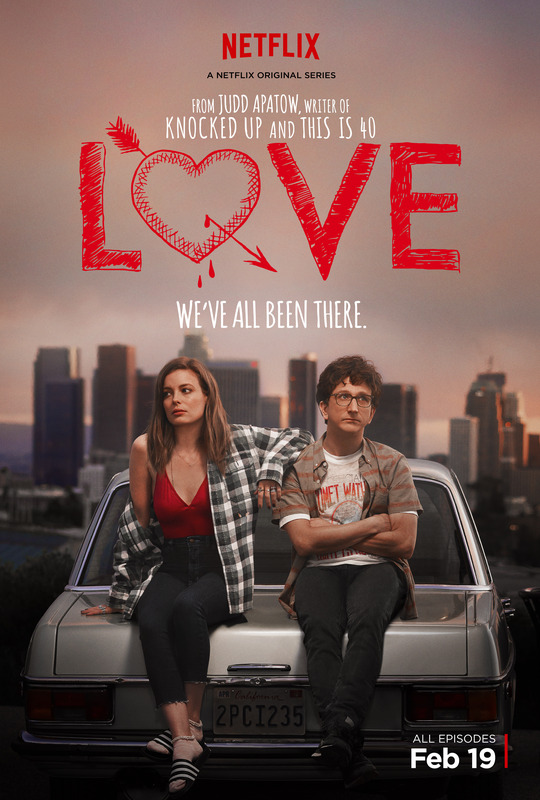 "Love" Season 1 premieres Friday, February 19 on Netflix. Check out the trailer above and the new poster below.